The DoubleCover allows you to have quick bed access with its heavy-duty front hinge, but also achieve full bed access with its retracting feature. Double Functioning Cover The Industry's first and only bed cover that lifts up for quick access and retracts for full bed access. Lift Assist The front hinging system is equipped with Lift Assist to help make tilting the cover easier. Easy Retract The Double Cover features inset handles and a nylon pull strap to making opening and closing with the retract feature easier. Easy Install This cover can easily be in stalled featuring our No-Drill Clamp on system. Reimagine what you thought about bed covers. Trying to decide between a retracting cover or a hinged cover? Don’t. The DoubleCover allows you to have quick bed access with its heavy-duty front hinge, but also achieve full bed access with its retracting feature. 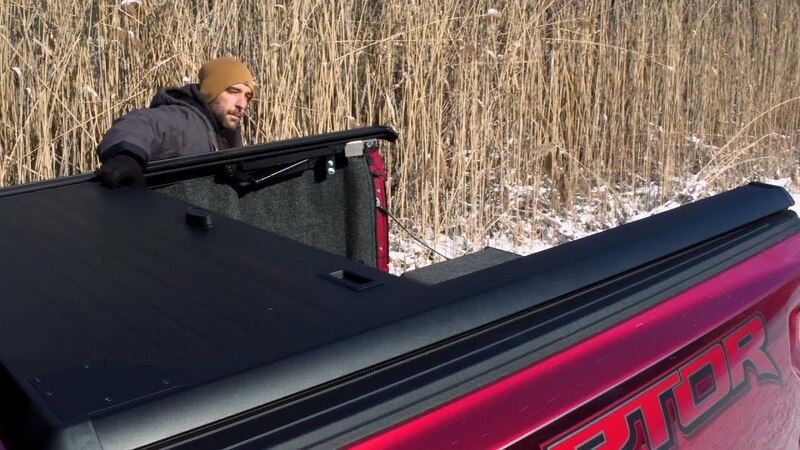 Designed to take your truck to the next level in functionality and looks, the Double Cover is a great solution for today’s trucks. For 25 years we have been innovating and manufacturing fiberglass covers. The DoubleCover combines what we’ve learned from manufacturing hard covers with the need to still have full bed access. We now look to build on that storied history with the industry’s first, and only, retracting and hinged cover. The A.R.E. Double Cover Tilting/Retractable truck bed cover can be installed on your pickup quickly. It has an easy clamp on installation. Each product comes with easy to understand installation instructions.